I saw her about 8 years ago in the Herat computer science faculty for the first time. In that time she was a senior. Fereshteh Forough and i became friends very soon. I liked her style of being different from other girls in the faculty. In that time in Herat a very few women had the courage to not wear Chadur*. (because of some dogma belief) and she was one of them. I saw that how a person can stand against the accepted rules of society and goes for what she/ he believes in. She finished her studies with high grades and could receive the scholarship to study Master degree in Technical University of Berlin. After two years of successful education, Fereshteh Forough came back to Afghanistan and worked in the faculty as a lecturer in Database Engineering department. As far as I know her, she has always been concerned about women in Afghanistan and wishes them to be independent and educated. She expanded her activities by becoming co-founder of the Afghan Citadel company (ACSC) .ACSC is a services and IT consultancy company. Fereshteh tried to bring the changes in the Afghan society via today’s technology through ACSC activities. 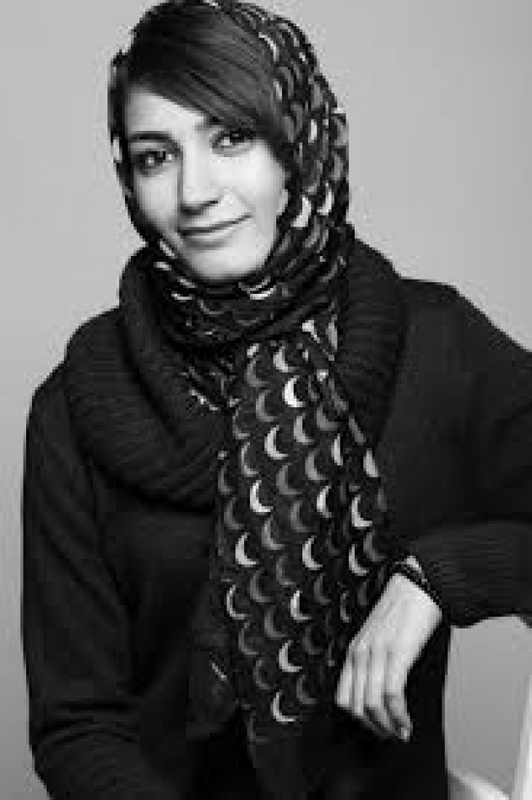 Fereshteh Forough is currently a board member of Women’s Annex, located in the New York City. she is also working as the main writer for Afghan Perspective in Film Annex. She has proved herself to be a hard working person with talented and creative mind. You can get to know her better by reading her blog in Film Annex. A few days ago she published a glorious idea in her post blog. She is going to collect 1001 stories about women around the world. The idea raises up from the famous traditional Persian story “One Thousand and One Nights “ . I know that she will be successful to accomplish this job and bring this idea in the reality by her efforts and assiduity. I believe that my country, Afghanistan has lots of talented and brave women whom their lives makes honorable and inaudible story . I hope that every woman who is reading my post and has a story to tell, contact with Fereshteh(story.nights1001@gmail.com) and tell her, her story. Fereshteh will help you to register as a part of history and remain in minds of people around the world. I believe that Fereshteh Forogh is one of the bravest and most talented afghan women I have ever met. I wish her a very bright future with the honor of helping people especially afghan women in order to get education and create a better, bright and happier future.